Southern spirits were once dominated by brown stuff from Tennessee and Kentucky, where cultures of spirits-making narrowly survived Prohibition’s damage. As the South continues to shake off the lingering effects of the previous century’s Temperance Movement (and the blue laws that followed in its wake), the list of regional drinking options is growing a little longer. The region is now home to a bubbling brood of small, craft distillers who have successfully navigated the red tape of their respective states, and counties, to set up shop, but while they wait for their aged spirits to mature, these young distillers need to sell something. Many are choosing to set their feet with clear spirits, like gin or vodka, that don’t require years in an oak barrel. 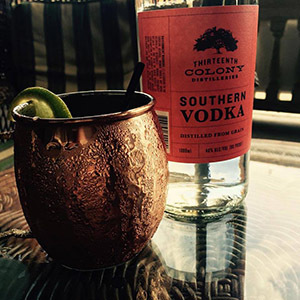 The Southern vodka path was first trod by Bert “Tito” Beveridge, whose eponymous Texas vodka company Tito’s Vodka is Texas’ oldest legal distillery. Perhaps Beveridge’s greatest success was proving that vodka drinkers would embrace something new — a small brand — something beyond their usual Absolut or Smirnoff. That small brand hit it big and helped set the stage for the recent wave of distillers highlighting handmade detail and an air of experimentation. It’s easy to fall into the trap of assuming vodka is just vodka, but subtleties can vary greatly depending on the distilling technique and mash bill, which is the kind of starch that is fermented and then distilled. Remember that most vodkas show a range of notes reminiscent of anything from citrus to peppercorn, balancing against the spirit’s ethanol burn. And the best ones always retain a kind of purity, too. Here we have a look at how a few regional vodkas stack up. 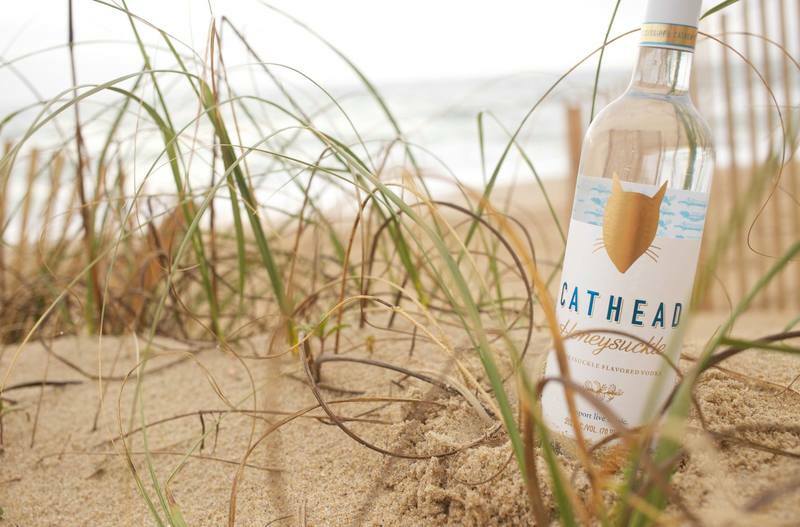 Cathead Vodka’s mash bill is corn-based, which creates a sweet nose, a rich, slightly oily texture and a little weight. Higher notes of lime zest, lemon curd and lemongrass keep the spirit’s body buoyed, and it finishes with a subtle burn of freshly cracked black peppercorn. The company’s distiller, Phillip Ladner, also makes honeysuckle- and pecan-flavored iterations of the vodka. 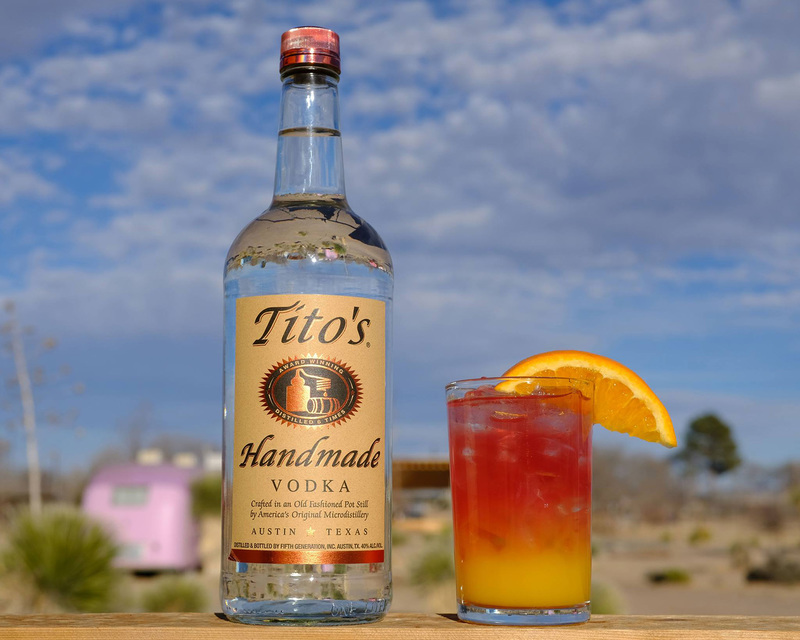 After careers in both oil-drilling and the mortgage business, Tito Beveridge decided to turn his hobby of making flavored vodkas for friends into his main pursuit. He ran up $88,000 in credit card debt to seed the company and shipped his first case of Tito’s Handmade Vodka in 1997. Beveridge boasts that it is the oldest legal still in Texas, and the company continues to make its products in small batches (in pot stills), despite wide success. Tito’s citrus aromas are grapefruit-oriented and zesty, but the nose is more dominated by dry herbal tones like verbena and dusty ground pepper. As with Cathead, the heavy presence of corn in its mash leads to an oily viscosity, but the finish here is medium-dry with a slimmer body. One of Georgia’s first legal stills, Thirteenth Colony Distilleries was started in 2009 by a small group of friends who had only planned to make jars of moonshine to give as Christmas gifts. Beyond their grain-based vodka, Thirteenth Colony also sells a range of aged whiskeys. The driest of the four vodkas tasted here, Thirteenth Colony’s nose shows hay and cut-grass notes, which bump into lemon juice, salt and a quinine character on the palate. It finishes clean, with a firm ethanol burn and broad structure. Moore went on to mention that the risk and expense of navigating a vague legal code probably explains why so few craft distilleries have taken root over the years. For the team at Old Fourth, the process became very stressful, since they had to build the entire facility and have it inspected before the city’s final approval would come down. The distillery’s tasting room now displays artifacts Moore collected of an Atlanta distilling culture that thrived pre-1906, but any historical trace of which was all but eradicated in the temperate decades that followed. 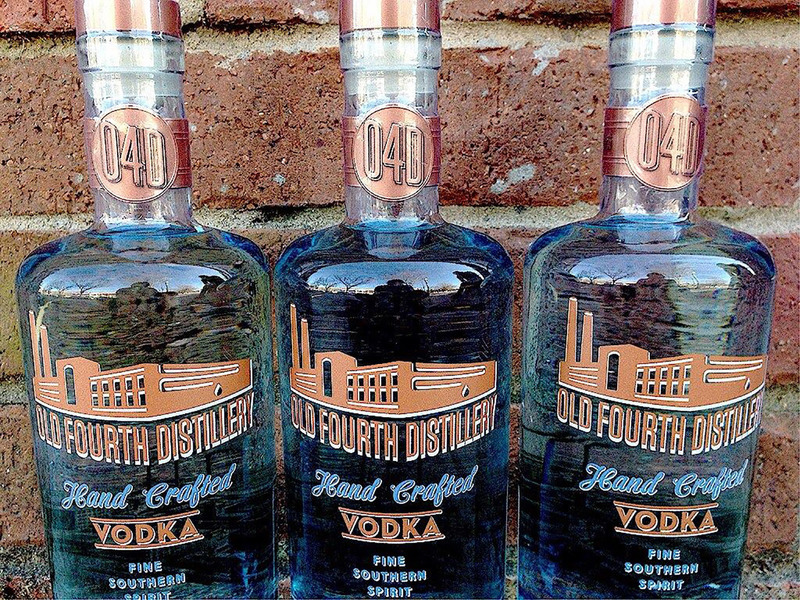 While most vodka is distilled from corn, wheat or potatoes, Old Fourth makes the unusual choice to use turbinado sugar cane as a soluble starch source — what is called a wash instead of a mash — mostly in order to keep the spirit GMO-free and as environmentally friendly as possible. 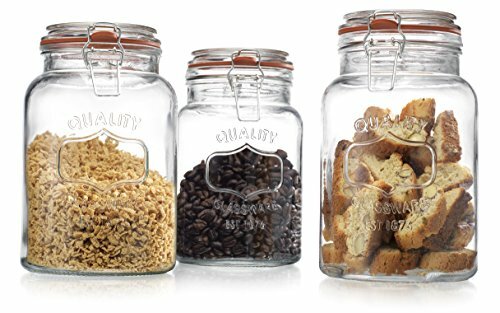 The starch’s full solubility results in zero physical waste, as opposed to mash, which leaves used-up corn, wheat or grain. The sugar cane makes this vodka distinct from the other three, causing it to taste almost like a white rum by comparison. The nose has only a touch of lemon and is driven instead by sweet potato and date notes. 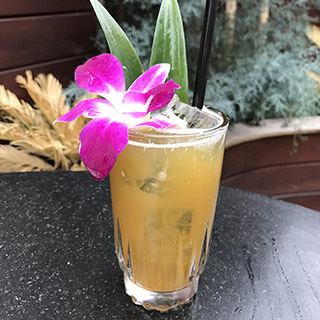 The pepperiness in its finish wanders toward something more floral than spicy, but it ends up very balanced with a slight sweetness that hides the ethanol. To make the lemonade: In a small saucepan, combine the sugar with 1 cup of the water. Slice half of the ginger root into rounds. Add the rounds to the sugar mixture. Place the saucepan over medium-high heat and bring to a boil, stirring to dissolve the sugar. As soon as the mixture comes to a boil, remove the saucepan from the heat and let cool to room temperature. Once cool, strain out the ginger rounds. Meanwhile, grate the remaining ginger using a microplane into a fine-mesh strainer set over a medium bowl. Use the back of a wooden spoon or a spatula to press on the grated ginger solids to extract its juice. Discard the ginger solids and mix the juice into the cooled simple syrup. Halve the lemons and squeeze the juice out into a medium pitcher; you should have about 1 cup of juice. Stir in the remaining 3/4 cup water. Stir 3 tablespoons of the ginger syrup into the lemonade. Add more, to taste, if desired. Reserve the remaining syrup for the cocktail. To make the black tea: Place the tea bag in a medium teapot or heatproof pitcher. 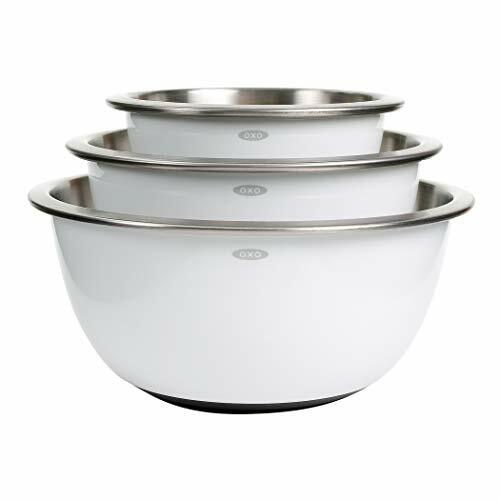 Bring 2 cups of the water to a boil; pour the boiling water over the tea. Let steep for 5 minutes, then remove the tea bag. Stir in the remaining 2 cups water and let the mixture cool to room temperature. To make the cocktail: Fill a Collins glass or other tall glass with ice cubes. In a mixing glass, combine the ginger rounds, one of the blackberries and the ginger syrup. Muddle the ginger and berries together to release their juices. Add the tea, lemonade, vodka and a handful of ice. Stir to combine. Taste and add additional ginger syrup, if desired. Double-strain through a fine mesh strainer into the prepared Collins glass. 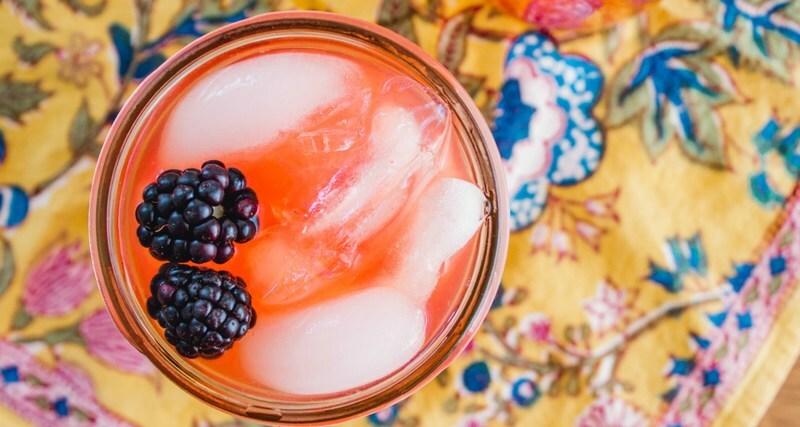 Garnish with the remaining blackberries and drink immediately.